Best painters painting homes and offices near Broomfield CO. Eco Paint contractor serving your next interior & exterior, with highest mark of craftsmanship. Need a top Broomfield painter? Eco Paint, Inc. employs professional and affordable painters and complete paint contractor services for Broomfield Colorado. Eco Paint is an Eco Friendly paint company, offering honest, experienced, and highly qualified team of painters to provide you with the best interior and exterior painting services. Eco Paint professional crew of painters has the latest painting color ideas, trends, and painting techniques for you, providing you with outstanding benefits and house painting results. Whether it is painting stucco, or cabinet refinishing, Eco Paint always provides the right number of qualified painters to handle your specific job through its completion. Fully insured, Eco Paint has on file current Liability and Workers Comp insurance, protecting all parties, painters, and clients doing business with Eco Paint, so you are in safe hands with our Broomfield painters. Looking for a Broomfield painting contractor? Eco Paint contractor provides the best house painters and complete painting services in and around Broomfield, CO. Also painting near Broomfield Town Center, Hwy 287, Oak Cir N, Lilac St. Miramonte Blvd. Eagle Trace Golf Club, all near Broomfield Commons Open Space. Eco Paint, Inc. your friendliest and most professional paint contractor, providing highly qualified and motivated team of exceptional painters, paints complete interiors and exterior for homes, offices, and businesses near you in Broomfield Colorado, having over 35 years experience. Because our quality control standards are the highest, our staff and journeyman painters are among the best in the business. Our focus and slogan for over 3 decades has been "Customer Satisfaction is Our Main Concern". We want our valued customer of Broomfield, to be glad you selected us. Managing your painter's job through its entirety of scheduling, sampling, preparation, continuous clean up, work safety, to paint finals, is what your painting contractor in Broomfield does on a daily basis. Eco Paint contracting services takes a special interest, providing the very best painters painting your home or office in Broomfield, with the utmost attention to detail. Below is a list of our wide variety of Broomfield painting contractor services, that we hope you find helpful. Contracting services include complete written paint proposals, estimating paint quantities, sampling, scheduling, purchasing, mobilizing, supervising painters, and a final walk-through. Enjoy the personalized internal and external contractor painting services, with unparalleled craftsmanship, and competitive painting costs and quotes estimating in the entire area. Purchasing the top materials and products in the industry, with you in mind. Generally leaving extra paint with you is always a good idea. Mobilizing, and supervising, always having a paint foreman on site, communicating with owners and supervisors. Cleaning the grounds every day, to insure all debris is contained, and equipment is left organized, until final inspection is completed. These are just a few tasks your Broomfield painting contractor does best, and Eco Paint, Inc. is the painting leader in all regards, locally in Broomfield, CO. Essentially contracting with Eco Paint elevates all work on your part, except only to choose the paint colors, which we work with you, choosing the right color ideas, and trends. Taking the paint task from beginning to end, having done this hundreds of times in Broomfield. Painting Homes and Offices near Broomfield, CO.
Painting homes and offices in Broomfield CO. having over 35 years experience is your flagship painting company that all others try to follow. Having painted numerous homes and businesses over time near W. 136th Ave. and Rabbit Mountain Rd. Eco Paint is your household name for painting companies around Broomfield. Painting interior walls, ceilings, and trim to all types of exterior siding, soffit, cornices, gutters, and flashing, for homes and businesses, adding value, paint protection, and brilliance, with uncompromising integrity. Painting outside walls, ceilings, doors, trim, cabinets, siding, Stucco, Masonite, Cedar, James Hardie board, and outside structures such as decks, fences, and trellises. Eco Paint follows paint manufactures recommendations to a tee, which is why we stand behind our workmanship every step of the way. 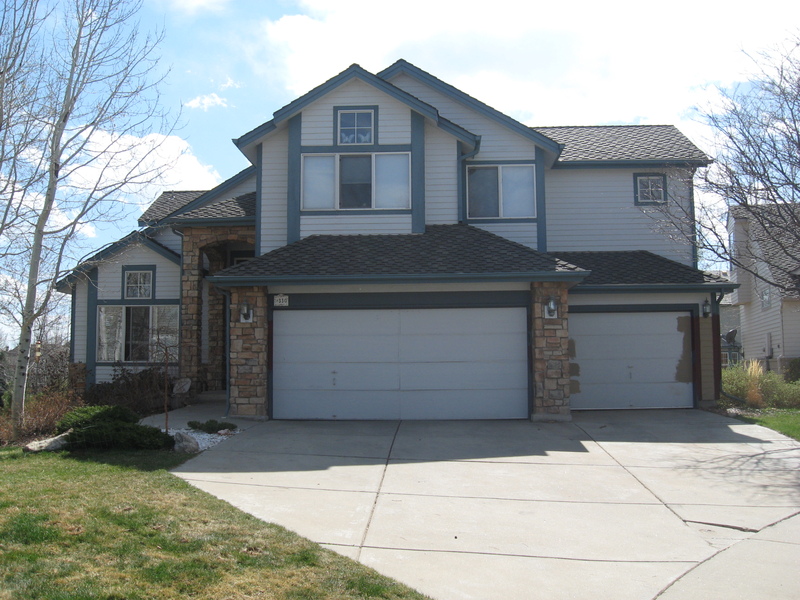 Contact us today, painting homes and offices here in Broomfield, CO. Interior painting can include drywall repairs, matching textures, Popcorn texture or wallpaper removals, or just refinishing painting kitchen cabinets. Eco Paints' affordable painters all have a vast experience doing all these important things. Contact us Today, for your Free Paint Quote Estimate, and Paint Color Consultation, valued at $150.00! (720)409-1984 -or- (303)591-4978. Click Here to fill out contact form.